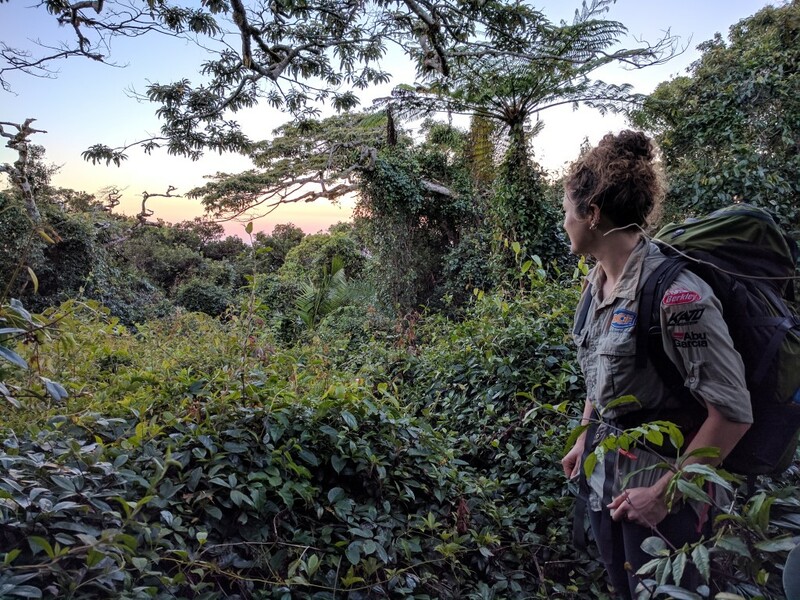 There's are many places to adventure to around Townsville, so many that it would take you several years to explore all the different places within one hour of Townsville. Just south of Townsville is Bowling Green Bay National Park which provide adventurers like you and me an easily accessible playground where we are free to explore. Many of us have been to the Palm Creek Folk Festival before but only a few ever venture off past the black rock to the rockslides. Palm Creek's best kept secret is the three points of interest within Bowling Green Bay National Park. For a visitor fee of $2.50, Palm Creek Eco Park makes it easy to access the mountains behind the caravan park. These include The Terraces, The Cascades and Hidden Falls. There are also a few less known features but are not anything that spectacular. This area offers a few decent places from Rock Climbing. Mount Elliot is at an elevation of 1,218m above sea level and is the highest peak in Bowling Green Bay National Park. The summit is thick rainforest and provides no views. However, the journey to top the is the real beauty out of this adventure. 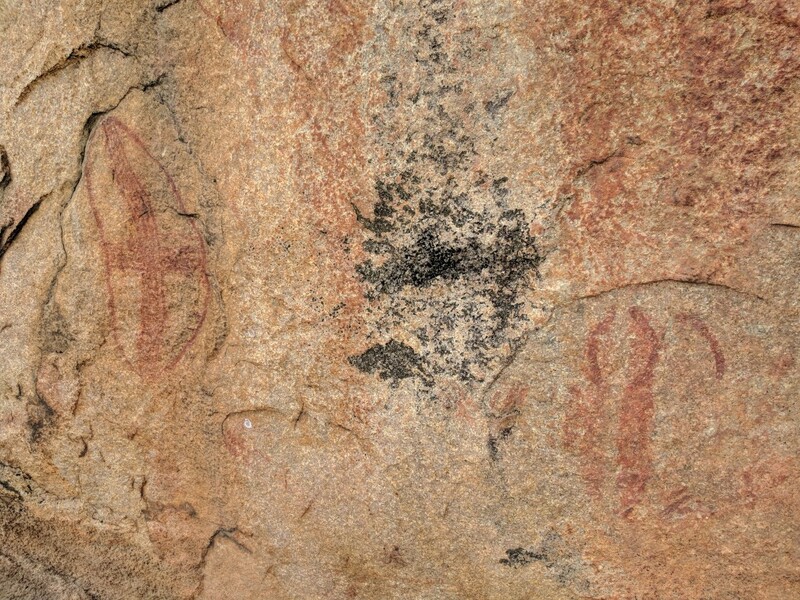 The eastern side of this National Park is extremely rich in rock art sites and has a lot of Aboriginal history. Aboriginal paintings, rock shelters, and sharpened stone tools can be seen around this area. Go for a walkabout and discover some of Australia's history. Over 4000 years old and still growing, this 22 kilometer long sandy cape is a place to have your own private beach getaway. The northshore current has been depositing the sand over many years creating this lengthy headland ending with a long low sandspit and is home to a diverse array of coastal wetlands habitat. Many ships wrecking at Cape Bowling Green necessitated the construction of a lighthouse at the cape. Sharks, dingoes, no drinking water and kilometre after kilometre of sand spit ensure that this walk will be more adventurous than most other beach walks. It's not just a boring beach walk, this hike will take your through different terrains as you navigation through dead mangrove forests and, of course, the sand spit. It's an interesting beach with human rubbish littered throughout which gives you an idea of human impact on our planet. Cape Cleveland Lighthouse was the first lighthouse to be built in Townsville back in 1879 and marks the northern point of the Cape, and the entrance to Cleveland Bay. 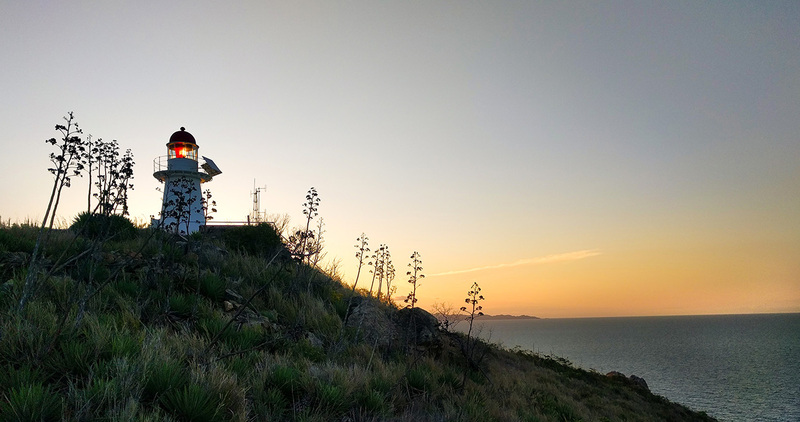 It doesn't get much better than seating on a cliffs edge and overlooking the turquoise ocean, watching the sea turtles and enjoying the sunset over Townsville and Magnetic Island. Spend your time taking in the natural beauty that Cape Cleveland has to offer. Enjoy historical displays of the past and present residents. The journey out to Cape Cleveland has some spectacular views along the way. You can also book a scenic flight, cruise or ferry out to the cape. Mount Cleveland is at an elevation of 558m above sea level and has good views out to Townsville and Magnetic Island. This open bushland is easier to traverse than some other places around Townsville. Hiking out to Alligator Falls is an easy on-track walk and you are rewarded with a impressive waterfall towering over the valley. Rock scrambling up the falls on the right hand side is possible and provide great views of the surrounding area. 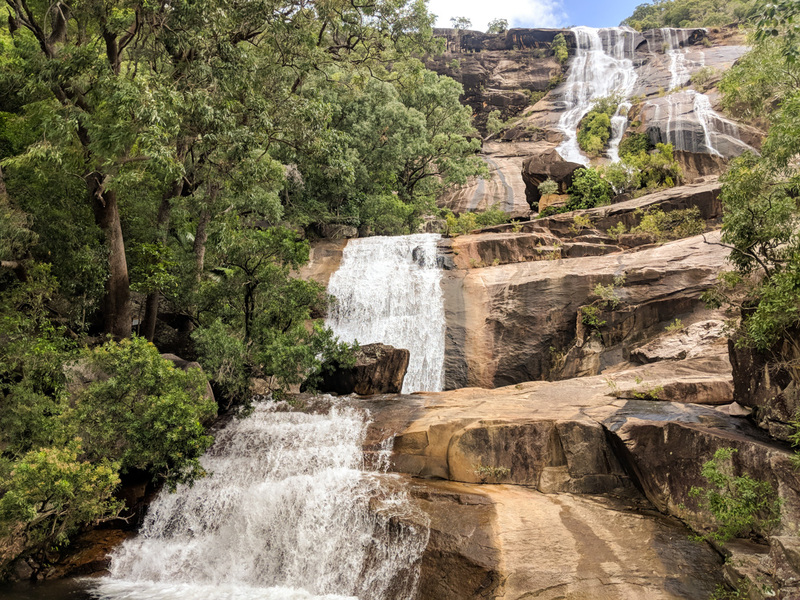 The Alligator Creek Falls hike takes a approximately 4 hours return. 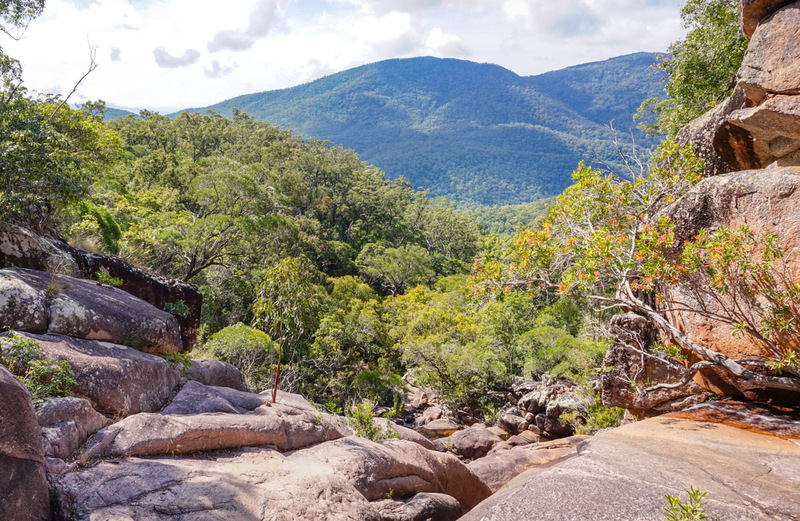 In the 80s and 90s, this route was an introductory walk for the Townsville Bushwalking Club. In fact, it was a popular and one of the easiest routes to the top of Mt Elliot. This route takes you up the creek bed, passing through a large boulder field and up to a pretty waterfall. You may then come down the Western ridgeline and possibly see wild horses on you way. The national park track out to Alligator Creek Falls crosses Cockatoo Creek early on. There's a monolithic rocks up the valley that can be seen from Castle Hill and is known as Cockatoo Rock. Cockatoo Rock offers pannoramic views of the national park and parts of Townsville. Cockatoo Creek and Major Creek share the same saddle. Rumoured to have an old B22 bomber crashed there, the precise location is unknown. Several people have attempted to find the crash site but were not successful. Major creek is full with Lantana. Walkers Creek is a day walk and offer a breathtaking waterfall as a reward. Double Creek is probably the best way to summit Sharp Elliot. Sharp Elliot is at an elevation of 1,183m. The best way to the Shoulder (1,022m) is via Spring Creek. Saddle Mtn is at an elevation of 882m. Bowling Green Bay National Park provides a range of nature-based activities for visitors to enjoy such as camping, bushwalking and wildlife viewing. The national park covers approximately 57,900 hectares of coastal and mountainous country with Mount Elliot (1210 metres) rising out of the surrounding coastal plain and dominating the landscape. 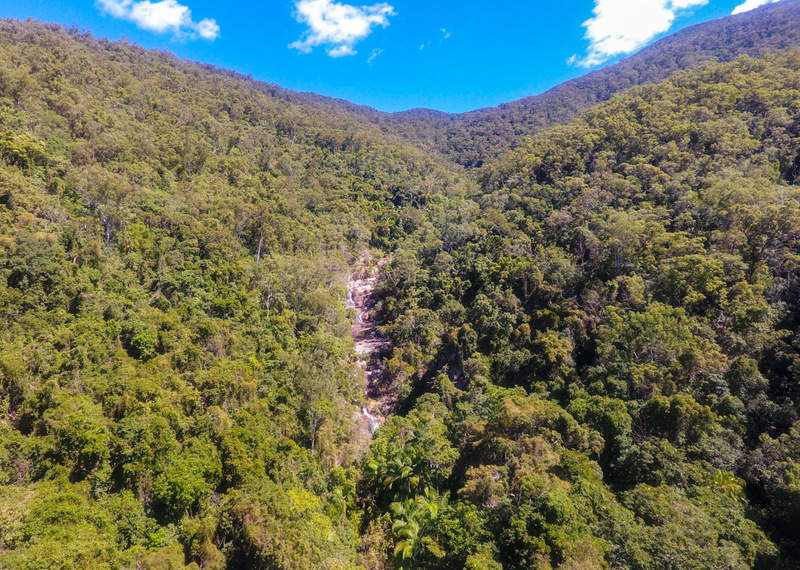 Alligator Creek offers a number of popular tracks for bushwalking. Boating and fishing is also popular in the marine waters and is permitted with some restrictions. 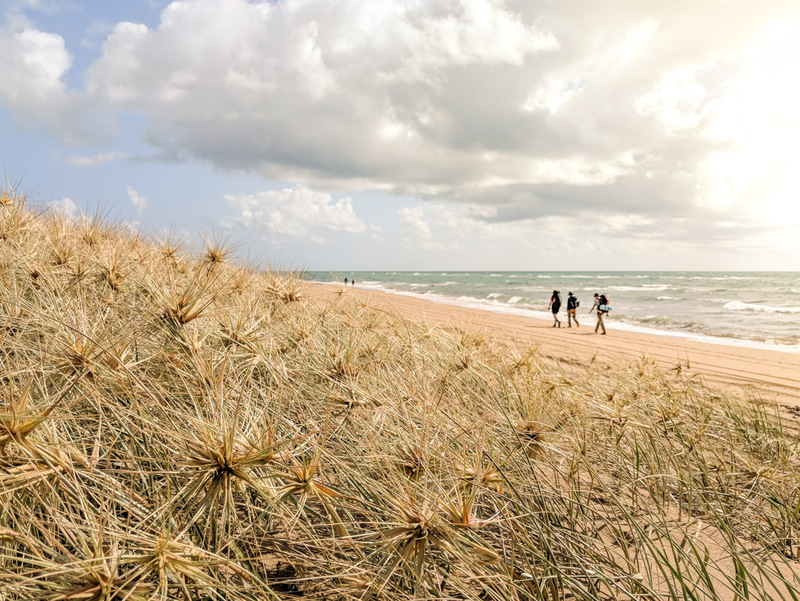 The Bowling Green Bay Ramsar site covers more than 35,000 hectares and includes Cape Bowling Green, parts of Cape Cleveland and the south-eastern portion of Cleveland Bay. Most of the site is protected by the Bowling Green Bay National Park and Bowling Green Bay Conservation Park. Rains from summer storms add fresh water but the rainfall is variable due to seasonal tropical cyclone and monsoon activity. Groundwater from two main aquifers is a significant source of water for the site. The Traditional Owners of the Bowling Green Bay area are the Bindal and Wulgurukaba Aboriginal people. This resource-rich land and sea country supported them for many thousands of years, and today the Bindal and Wulgurukaba people retain a close connection to their land. Bowling Green Bay is a Ramsar site because of the diversity and extent of wetland types and the wildlife the site supports. Mangroves stretch across a large area of the site. These mangrove forests are vital to the region’s coastline, particularly during cyclone activity, because they help control coastal erosion and protect the land from strong winds, tidal surges and heavy rainfall. Seagrass meadows are also important to the site. These occur in the intertidal and subtidal areas of Bowling Green and Cleveland bays. They provide food for animals, including dugongs, marine turtles and dolphins. Seagrass meadows also help absorb nutrients and sediments, stabilise the estuarine banks, provide protection from wave impacts and accumulate high levels of carbon. The site supports threatened species such as green, loggerhead, hawksbill and flatback turtles; dugongs, estuarine crocodiles and Indo-Pacific humpback dolphins. Thousands of brolgas and magpie geese live in the area. Many species depend on the site at critical stages of their life cycles. Bowling Green Bay is a haven for its diverse and abundant fish and crustacean populations. Bowling Green Bay supports rich and abundant birdlife, including seasonally more than 20,000 waterbirds in, and adjacent to, the site. At least 224 species of birds have been recorded at the site, with almost half of them breeding there. Many migratory birds rest and feed here during their annual migration, including large numbers of red-necked stints. Bowling Green Bay is also an important feeding ground for Brolgas and Magpie Geese, which gather in large numbers and feed on bulkuru sedge at the site and in adjacent areas.